When you need experience, we have it in spades. 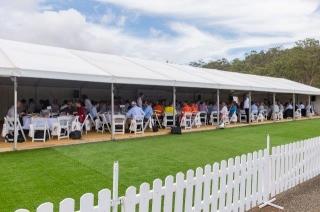 REH is the longest running event hire company in Toowoomba and South West Queensland with over 25 years of planning and design. We specialize in providing essential hire items for occasions such as a garden wedding, parties, corporate events, field days and exhibitions. Coupled with our passion to create the perfect event for our customers we are the ideal choice for your hire needs.